He along with my older two children are a great source of joy. With babies come more “things” and most of those perceived needs are commonly “plastic things.” The most prolific plastic baby item is definitely diapers. The average child will use more than 2,700 diapers in the first year alone, which can add up to more than $550 (based on an average price of $0.20 per disposable diaper). The average baby will use 3,500 – 4,000 diapers before potty training is completed. I have an intense dislike of disposable diapers for many reasons. The first one that comes to my mind is that they really don’t seem to do my baby justice to contain the ‘leftovers’ that his body can produce. If you’ve changed many diapers you know exactly what I mean…the leg gussets aren’t sufficient or the waist band. It always seems to escape the hatches up the back, out the legs. GROSS! My beautiful mother cloth diapered four out of five of her children during the 1980s and 1990s. I remember her hanging the cloth diapers out on the clothes line. Such a fond memory. When we were expecting our first child I informed my husband of my desire to cloth diaper our baby. At the time he had just retired, due to a medical injury, from his career as a professional fire fighter. You can only imagine the things that he encountered during his daily duties in public service. However, when it came to changing baby #2 diapers he freaked out. I still remember him using a spatula to remove the solids from the diaper in the toilet while holding his nose. Holy cow, if he got pooped on by the baby or the baby’s tummy was upset, the neighbors could hear his screech a mile down the road. Three babies later, we’re still cloth diapering and his screech has lessened. His dislike of changing poopy diapers will always be there no matter how many he changes – cloth or disposable. The beautiful thing about cloth diapers is that the waste rarely exits the diaper unwanted. When I first made the decision to cloth diaper, I purchased my cotton pre-fold diapers and organic Little Beetle wool diaper covers. The initial cost was an investment. It cost around $500 for the whole shebang – diapers, cover, pins, wet bags, etc. This investment covered the entire diaper experience for our first and second child. I finally decided to part with my cloth diapers last year. 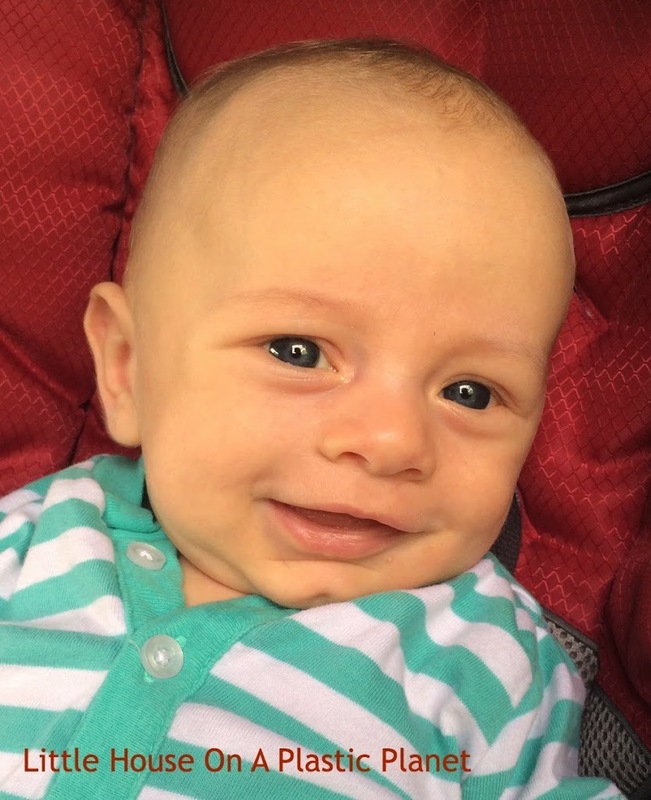 One month later, I found out that I was pregnant! 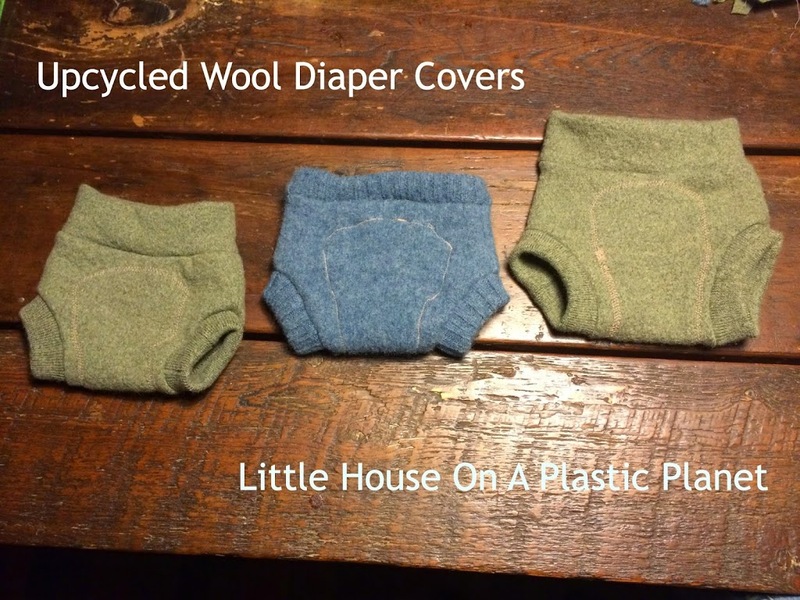 With Little Beetle no longer in business and my love of wool diaper covers, I decided to take on the task of making my own upcycled wool diaper covers. My motivation came after seeing a couple handmade diaper covers by Ozark Mountain Mama. She makes beautiful covers! We excitedly started frequenting thrift stores in search of 100% wool items to craft into our own covers for Jonah. It wasn’t difficult to locate the wool at all. I got such an adrenaline rush when I would find a sweater with moth holes that had finished it’s useful life as a sweater and now would have a second life on my baby’s bottom. What can be more zero waste about that! Next I thought, if I can make wool diaper covers why not my own pre-fold diapers? 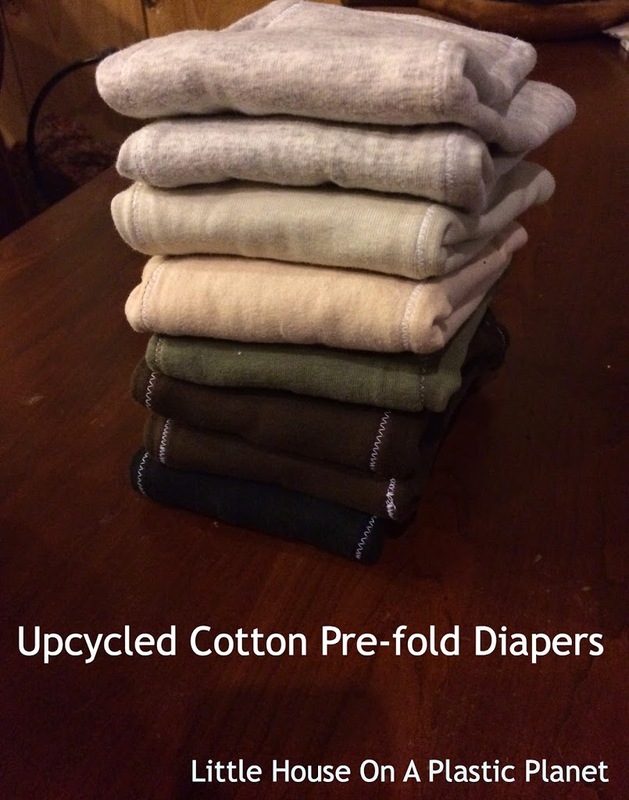 I set my mind to making a minimum of one dozen newborn and one dozen infant pre-fold diapers out of 100% cotton t-shirts and an old flannel blanket. I had many remnants left from the t-shirts and thought why can’t I turn these into my wipes? Yes, the remaining t-shirt pieces and sometimes sleeves were cut into 8 x 8 inch squares to be used as diaper wipes. I have never been a inventive person, creating my own patterns. But I can follow instructions well to create almost anything. So I found a few ideas & patterns that other bloggers had already published and got to work. Here’s a great blog by Rita. We diaper Jonah with three soft wool diaper covers (in each size) and two dozen pre-fold cloth diapers. Now that I’ve made the same pattern several times, I can whip them up fast! I hope to keep my 4,000 diapers out of the landfill. I love my minimalist, plastic free diaper routine and wouldn’t change it. If you’d like to see step by step instructions & pictures please post a comment to the blog page.